Spring and autumn migration are the highlights of the year but I find that winter birding can be first-rate. None more so than last weekend. I woke up to a smattering of snow early on Sunday morning – the first of the winter in the south-east. The first few months of the year tend to be a good time for me to get out in the field and Kent is currently the county that has been delivering the goods. I reckoned the further east I went the less likelihood there would be snow, and seeing as the Isle of Sheppey has been teeming with cracking birds in recent days it was the ideal destination. 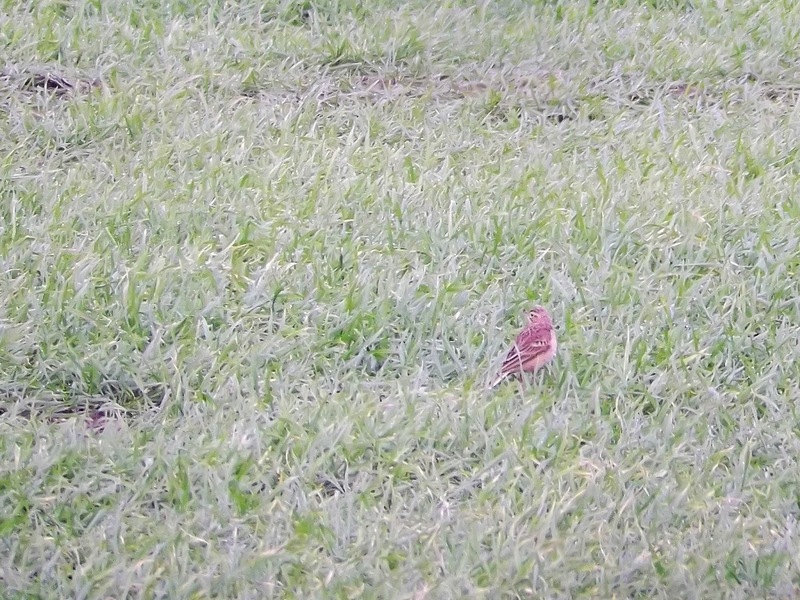 It turned out to be one of the best mornings birding I've had in a while. 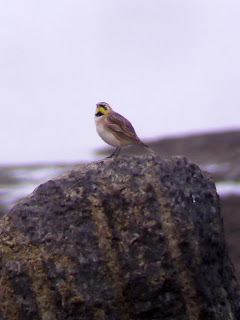 The first stop was Minster to see a Shorelark that had been present for some days. When I arrived at the Barton's Point parking area, the bird had gone missing, having been flying up and down the beach. Both top lads, I spent much of the time talking to Pete Webster – who had travelled to all manner of countries, including Ethiopia, but had never seen a Richard's Pipit – rather than watching the Shorelark. I have to admit I enjoy a bit of banter when I'm out – it makes the day all the more enjoyable. While we talked about birds seen and missed during the past year, another birder, from Surrey, was getting decent views of the Shorelark to within a few metres. I discovered the following day, via Twitter, that it was Shaun Ferguson, another Tice's Meadow visitor. Once decent views were had I headed off for the Swale Nature Reserve. A Richard's Pipit and a Hooded Crow were on the wish list here. After a bumpy drive along the track to the car park I set off into the reserve. 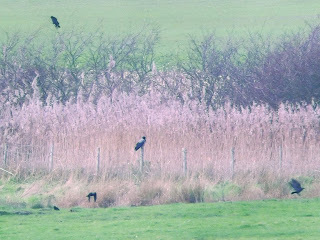 I opted to go for the crow first as it was situated furthest away. 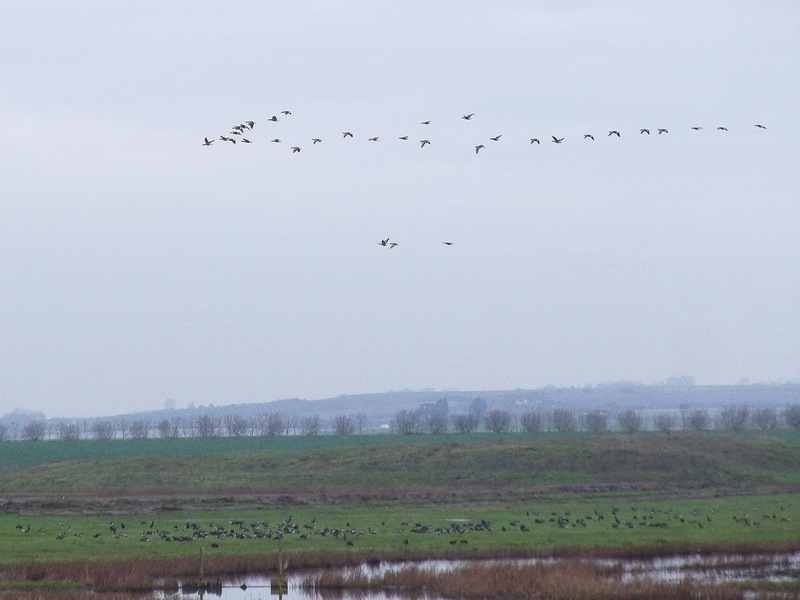 On the way towards the far end of the reserve a Marsh Harrier cruised low overhead and then a flock of 37 White-fronted Goose arrived and circled the reserve above the 1,000 or so Brent Goose, calling as they did so. 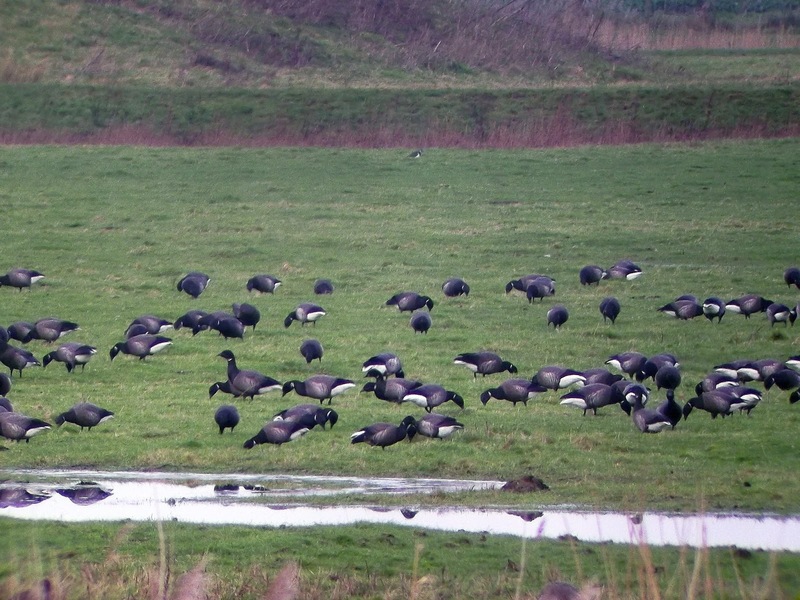 Eventually they came into land to join the one solitary White-fronted already there. 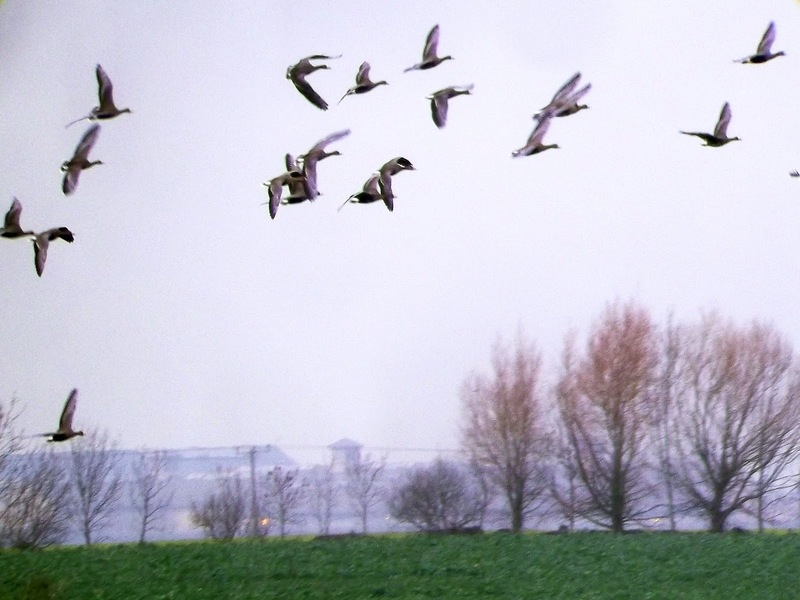 I've decided I like geese, particularly large flocks of them – always a spectacular sight and sound in the air. 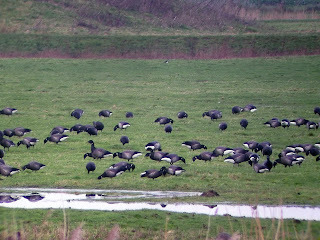 I carried on walking, along with a retired couple who were interested in seeing the bird, stopping now and again to look out at the flock of corvids in the distance, but couldn't spot the Hooded Crow. Walking in the opposite direction was Shaun, who reckoned he'd seen the bird along the fenceline, but we'd need to walk on a bit further to get a view. I had to make a phone call around then and while I was on the phone Shaun was on the crow. A quick trot to catch up and I was looking at my first Hooded Crow in Britain, perched on a fence post. You couldn't miss it. It was good timing, as a couple of minutes later it flew from the post into a dip in the field where it was out of sight. If I had had a bit more time I would have spent it in the lone hide looking out on to the scrapes to see what was about but with a good couple of miles to walk back it was best to head for the spot where the Richard's Pipit has been regularly seen and set up shop there. Once on the bend before the car park, I met up again with the Albatross Hunters, who had been watching the Pipit – Pete had got his lifer – before it flew into some deep grass where it had stayed for about 30 minutes. As time went by, nothing much happened. 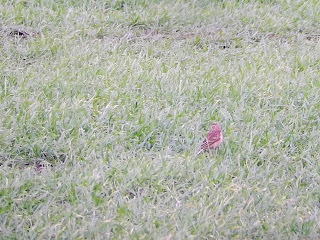 I'd just announced I would give it another five minutes before heading off when it suddenly flew up from the long grass and dropped into the field opposite the pathway. It doesn't happen often but, for once, everything had slotted into place and the Richard's Pipit showed well for a good few minutes. Pete Webster then shouted "Short-eared Owl" and behind us a Shortie was flying low across the reserve, heading west, being mobbed by a solitary Carrion Crow. A perfect end to an excellent few hours. The Isle of Sheppey had delivered the goods. Yes, it has been a good start to the year Steve. Let's hope it continues into spring! 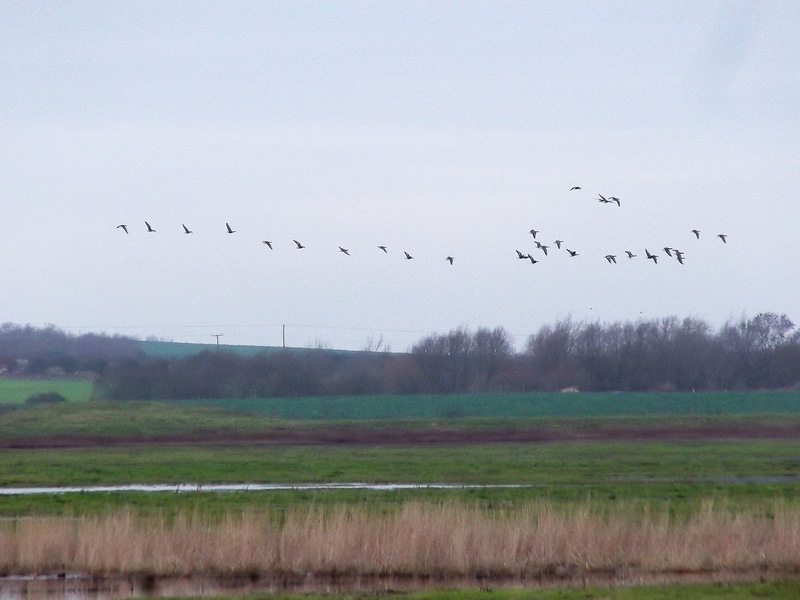 Just a normal winter's day on the Swale NNR, which unfortunately many people miss unless there is something rare to chase around. The Hoodie, Whitefronts, S.E.O's, Hen Harriers and much more, are there every winter. It's a fabulous place, Derek. I will visit more often as it's only an hour from my house. Derek, First time in nearly a decade I bothered to try the track this year as in previous it has been terrible for vehicles. 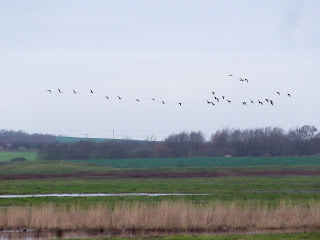 I understand it is kept reasonably unkempt to distract away from people using it for purposes other than birding, but it put us off for years going to the Swale NNR even as regular visitors to the Isle. Was much better mind than I remember it. Looks like an H Whimbrel esq is stakeout is required ! Hooded Crow every winter I read I think on Derek's comments elsewhere. 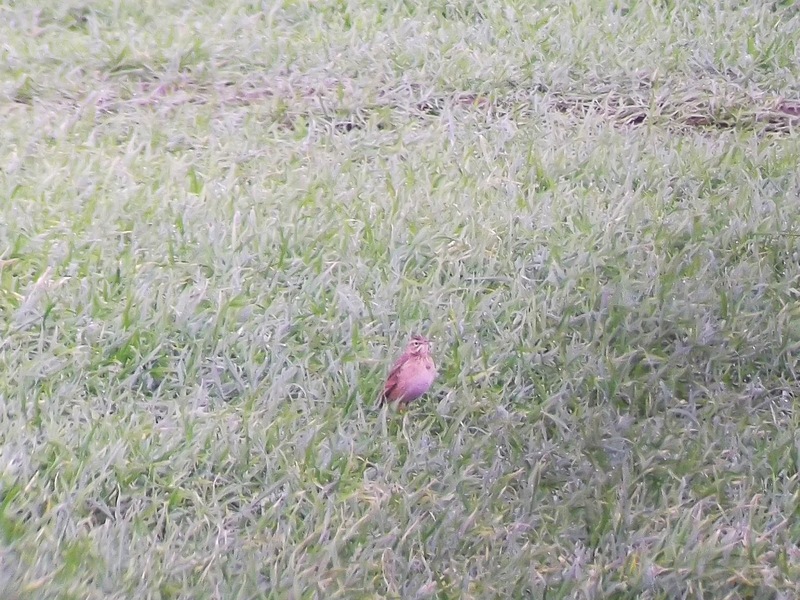 That was an England tick for me which made up for the no show Pipit whilst we were standing around freezing cold. Hi Simon. 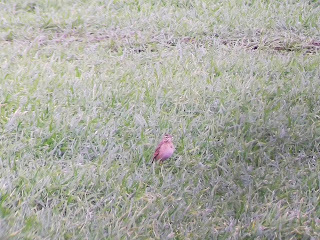 I reckon the Pipit will stay a good while yet. Hope you have better luck next time you go! Simon, the track out to Shellness has always been claimed by the people that own properties in the hamlet there, as their's. They choose to leave it in that condition for a lot of the time, one because they get peeved at repairing at their expense which the public at large will then benefit from and continually damage and two, because yes, it does deter a percentage of car users from going along there. Technically, they could put a locked gate across the start of the track, which they've done before, but it quickly gets cut open again. Hi Derek, yes I understand it is a dilemma and not an easy one. 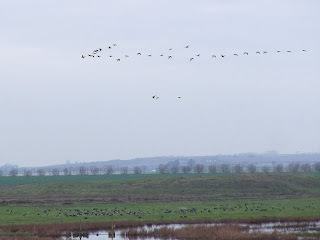 We used to visit the Swale around 2005-6 but began increasingly put off. I am aware of the private ownership and can understand all of the issues. I was as noted however pleased that it was alot better than we remember visiting the other week and I am going to be popping onto the Swale alot more in the future whilst conditions are better.